Who Are Our Rooms For? What makes Enter the Room different? We set out daily to create the most unique and memorable escape room experience in Colorado Springs / Old Colorado City. We design EVERYTHING in house; our props, puzzles, music, themes, etc. are all 100% ORIGINAL and like nothing you will find in other escape rooms. We design all of our escape room experiences with YOU in mind so be prepared to have some serious FUN! We are not your average escape room! THINK SECRET PASSAGES! THINK THEATER! 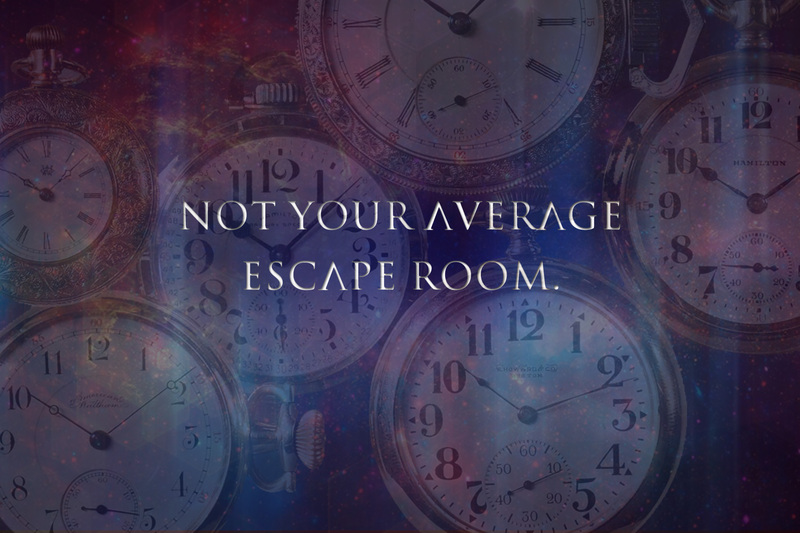 We have been quoted as being “the best escape room in Colorado.” Come see why! Our escape room appeals to a broad demographic! A perfect outing for a group of friends! Or you can take your family game night out of the house and enjoy a live, interactive, memorable experience. Visiting Colorado? Tired of window shopping? Come try something unique and be greeted by hosts who can guide you in the right direction for even more excellent adventures to make your visit double the fun. The couch is super comfortable, we know! But just like board games, there is nothing like a physical gaming experience…show off your gaming skills in one of our rooms. Unique interactive experiences that involves everyone in your group, working together to escape the room in 60 minutes! ~ Puzzles….. ~ Riddles….. ~ Secrets…..
Can you make sense of it all? …..can you escape? …..can you beat the clock? Solve the puzzles and connect the clues to find the final key that unlocks the door to your escape! An awesome and fun experience for all of your family, friends and co-workers! Is it just my group in the room? If you have a party of 8-10 (depending on the room), then yes! If not, then we do book our rooms to capacity, so there is a chance there may be other participants joining your team. The game is about teamwork, and it is fun to work with people outside of your group as they will offer a different perspective! It’s also a great way to connect with new people. If you’d prefer a private session, and do not have a full party of 8-10 you can still absolutely book the whole room to ensure that you and your group are the only players. We have relocated to the Midland School Building basement in Colorado Springs, less than a mild south of Old Colorado City. We have plenty of parking in our private enclosed parking lot, right in front of the building. Yes! Our rooms are kid friendly. No worries! We will gladly reschedule any reservations with 48 hours advanced notice. If you contact us to reschedule without 48 hours notice, you can still reschedule, however there will be a $10 fee per person reserved. Please be certain to give us at least 48 hours notice if you have to reschedule, to avoid the cancellation fee. Any group considered a “no-show” will be charged in full. Please be sure to communicate with us, once again, if the need to reschedule comes up. Thanks! Can I take photo/video in the room? We do NOT allow guests to take photos or videos in our game rooms. We want to ensure all of our guests have the ultimate experience and do not want any visual spoilers floating around the world wide web. Have some questions you can't find an answer to? Contact us!